Generally, keeping track of goods is not only good business practice, but it is also extremely important when understanding levels of demand. Though the importance of tracking incoming goods is commonly known, recording food waste is just as key. It lets you target your weakest areas and identify specifically where your losses are occurring. Food waste could include spoiled ingredients, food that has been dropped and even unfinished meals left over by customers. Tracking this data can allow for noticeable trends, and with it, you can then take action to improve. For example, lets say you own a sit-down restaurant. After tracking your food waste for a few weeks, you begin to notice that a significant amount of customers are not finishing all of the food on their plate by the end of the meal. An observation like this could indicate that your portion sizes might be too big. Making a change in reducing portion size will not only save on ingredients, it could also reduce the usage of take out containers, thus saving costs and resources in multiple areas. Though you may be wondering, how will one person keep track of all of this? For starters, you could enlist the help of an inventory management software and use serial tracking. Every item in inventory will get its own unique serial number. With a simple scan of the barcode, you receive all the information of that particular item immediately. As well, it is good practice to train multiple staff to do inventory. That will benefit you and ultimately prevent the weight of this responsibility to bear on one person’s shoulders. Tracking is a group effort and having several eyes on this will allow for a more complete gathering of data for future business decisions. External factors, such as minimum wage increases and inflation, can affect all areas of your business. You can’t control things like this, but you can work around it. Managing your inventory can help you make budgeting decisions in regard to your menu. Especially in food, changing the prices of menu items is not desirable, as there is a risk of it being a potential turn off to returning customers. In addition, it will mean that a new menu will have to be printed, further adding to expenses. With proper inventory management, you can determine whether or not you absolutely have to make pricing changes. Tracking will allow you to identify any problems with supply chain, pinpoint specific areas, and from there decide where you need to cut costs. This way, you can minimize the fluctuation of pricing and keep them as stable as possible for your customers. Bonus Tip: Buying locally sourced goods can help you avoid international shipping costs and shorten wait times. Consistency is key; especially if your business has multiple locations. Aim for sameness. Minimize supply channels where possible to make communication more efficient. Less channels = easier tracking. It will make it easier to identify problems when/if they arise. Quality control will benefit immensely. Consistency in products will ensure that your customers are having the same, great experience, wherever they go. Use the right software to help you keep track of it all. It is extremely difficult to manually keep track of goods, especially in food where the turnover rate of perishable goods is especially high. 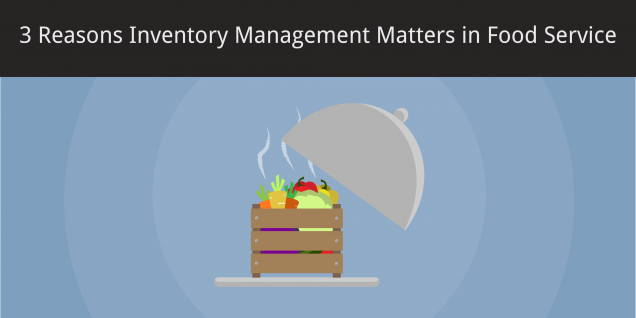 Things like expiry dates and shelf life can be hard to keep track of for every single item in stock, therefore enlisting the help of the right inventory management software can help you keep track of stock with more accuracy and ease. One business that is one of the best in the industry when it comes to consistency is McDonald’s. With over 36,000 restaurants worldwide, they are exemplary when it comes to inventory and supply chain management. Read more about it here. Book a demo to see how Clear Spider can help with your business!